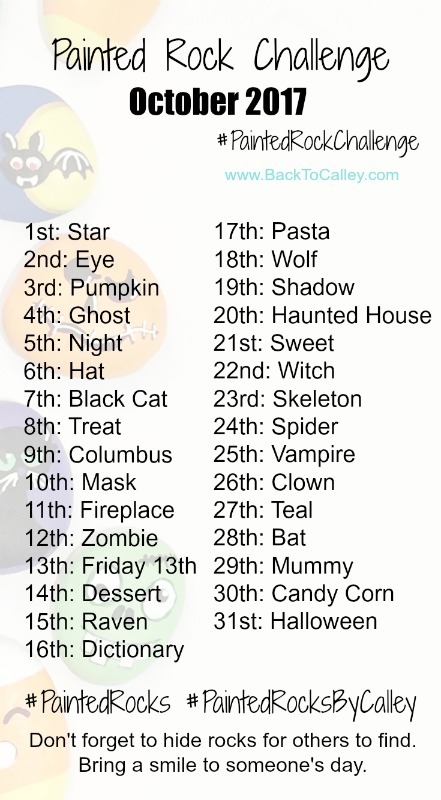 October was a fun list to create!! We love Halloween here and I cannot wait to see all your spooky and fun rocks this month. In addition, I created a new “easier” version for newbies and kids! 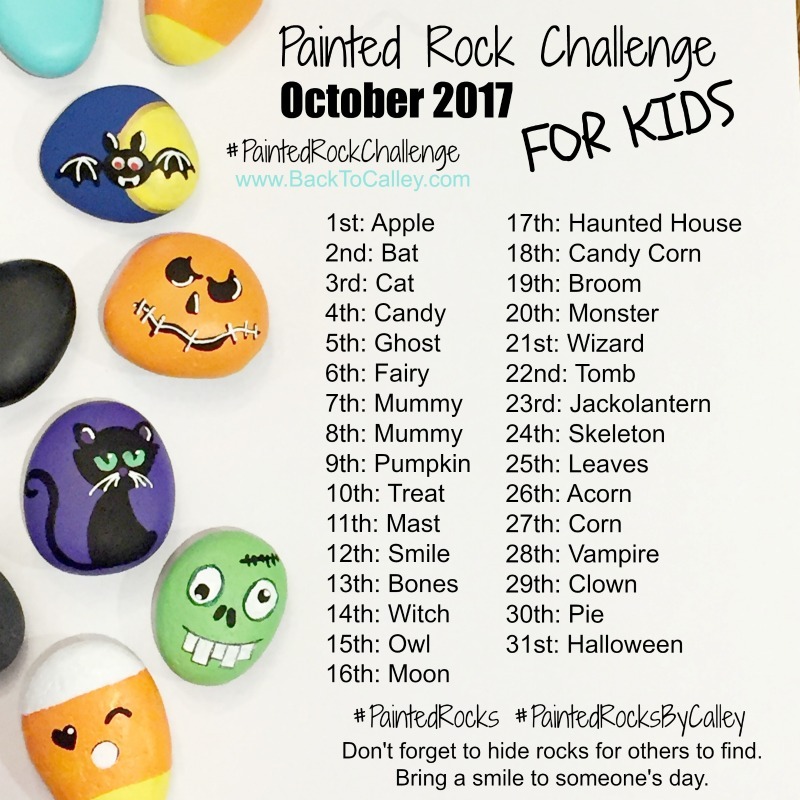 While I labeled it “For Kids,” the themes are just a little easier than the original challenge list and open for anyone to paint. I know my daughter loves to paint with me and others have said that some of the challenge themes are too complicated or hard for little kids. I hope they love the new kids list and I can’t wait to see their work too. Please feel free to share this post on Facebook, Twitter, Pinterest or anywhere you happen to be. If you’re posting your rock paintings online, I’d love to follow along and see what you create. 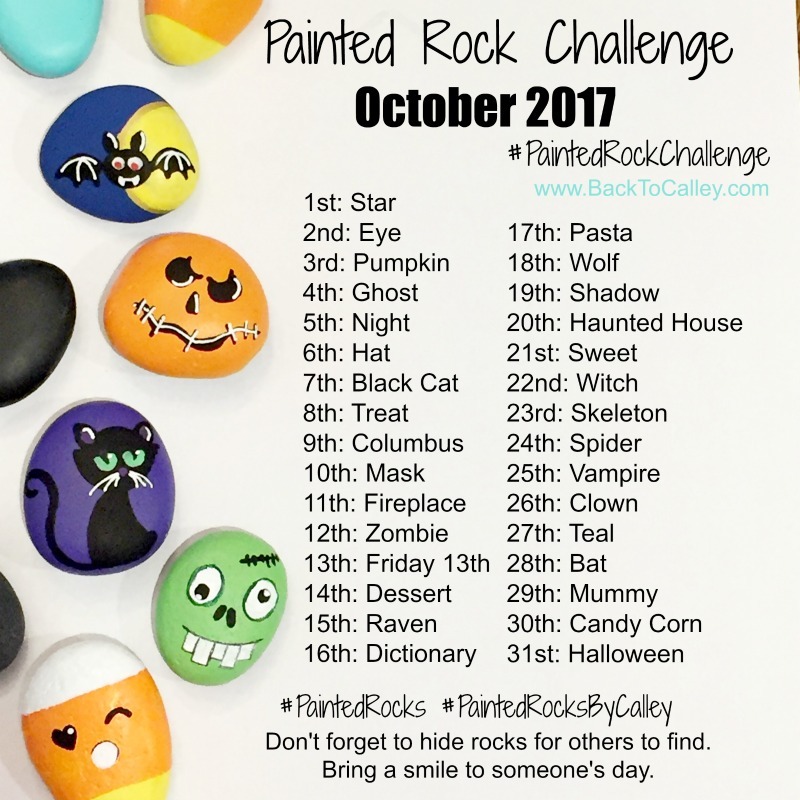 Just use the #PaintedRockChallenge hashtag. …and our easier version for newbies and kids!